Volatility is considered a fear gauge on the stock exchange. What does it actually mean when the VIX index breaks out? Experienced investors do not let themselves be led astray by this. Quite the opposite, as high volatility can also represent an investment opportunity. When volatility goes up, many investors get nervous. They are afraid of high losses, even of a stock market crash. However, panic selling would be the wrong thing to do. After all, high volatility only shows that price fluctuations are high – not whether the prices are going up or down. High volatility usually offers more opportunities than low volatility. At the same time, however, the fear of rising volatility is frequently a self-fulfilling prophecy. This is because many investors tend to follow the herd instinct and sell equities like everyone else. This, in turn, leads to market prices actually falling in the short term. Growing fear of inflation, rising central bank interest rates, or political crises also quickly lead to stock exchange corrections in times of high volatility and uncertainty, without the more important fundamental overall picture of a national economy having changed. The term volatility refers to fluctuations in the financial markets. The higher the volatility, the more the price fluctuates upwards or downwards. Historical volatility is calculated retrospectively for a given time period. Implied volatility, in contrast, is a measure of expected price fluctuations and shows how high the risk of an investment is or how professional investors, such as option traders, forecast it. The VIX index is especially common for market sentiment. It expresses the expected range of fluctuation of the US stock index S&P 500. Similar to that, in Switzerland there is the VSMI, the volatility index for the Swiss benchmark index SMI. Historical volatility is calculated based on the daily fluctuations of a stock or an index. The basis is the statistical normal distribution over one year. The basis of implied volatility, in contrast, is the market prices of options. For instance, the VIX is calculated on the basis of the option prices on the S&P 500 over 30 days. However, volatility merely indicates how high the standard deviation is. The actual fluctuation can also be much greater due to extreme market events. Despite uncertainty, you are well advised to keep a cool head and not follow the herd instinct. After all, prices can go back up as quickly as they went down in times of high volatility. 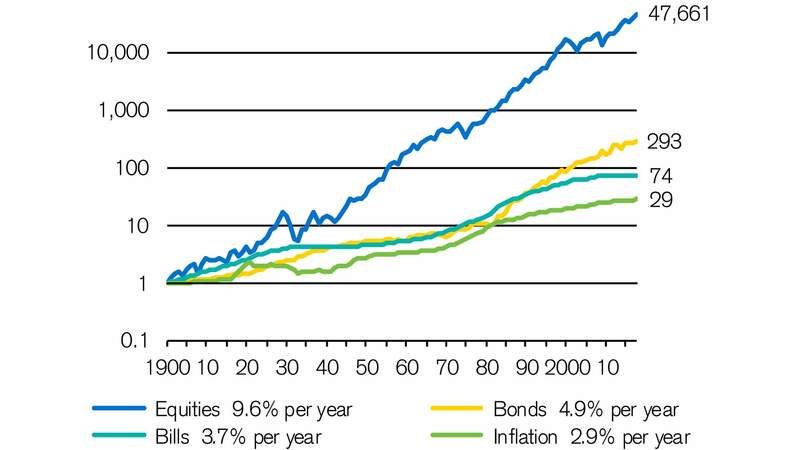 Historically, long term-oriented investors with equities manage to achieve significantly higher returns during the same period than with bonds or a savings account. And this is despite, in some cases, bigger price drops. In contrast, if the equities are sold in a panic due to volatility, the losses can no longer be recouped. It appears once again that the right market timing is the highest art form. 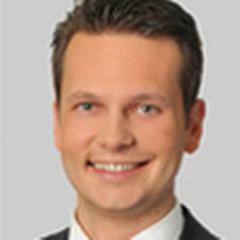 However, it has only a small long-term impact on the return development of a portfolio. Remaining invested is therefore a basic rule for high volatility. Buying in the first place is another. In English-speaking environments, the phrase "When the VIX is high, it’s time to buy" means exactly what it says: Buy when the VIX index is high. Analyses show that returns, on average, were actually higher when equities were bought when the VIX index was extremely high than when the investment was made when the VIX was very low. The market corrections triggered by high volatility can also be used as an opportunity for entry. Previously overvalued equities once again become affordable and have upside potential. Investors with uninvested capital can thus come onboard at attractive prices. Volatility follows the theory of mean reversion. This states that there are always irrational overstatements and understatements on the markets. Sooner or later, however, volatility returns to the actual mean value. In the long term, the prices revolve around it. The long-term average of the VIX index is approximately 18 percent. Calculated based on the actual daily fluctuation of the S&P 500 in a normal distribution, this results in a figure of slightly more than 1 percent (formula: volatility divided by the root of the number of trading days per year). The following therefore applies as a rule of thumb in practice: If you divide the implied volatility by 16 (approximation of the root of 252), you get the anticipated daily volatility of the index. Of course, the temptation to actively seek out such entry opportunities is great. Why not sell when the share prices have reached their high and come back on board as soon as the stock exchange has corrected? This means, for high volatility, amassing all the profits while the prices go up, but selling as soon as the signs change. This sounds easier than it is: Catching the perfect moment is a matter of luck and almost never happens – even with a lot of experience. On the contrary, due to overconfidence and speculation, many investors have lost a lot or missed out on potential profit. Just by not being invested on particularly good individual days, your return at the end of the year will be much lower than if you had remained invested throughout. Another example from the Stoxx Developed Markets 150 Index shows a similar effect. An investor who remained invested throughout between 2003 and 2016 achieved a return of 150 percent. 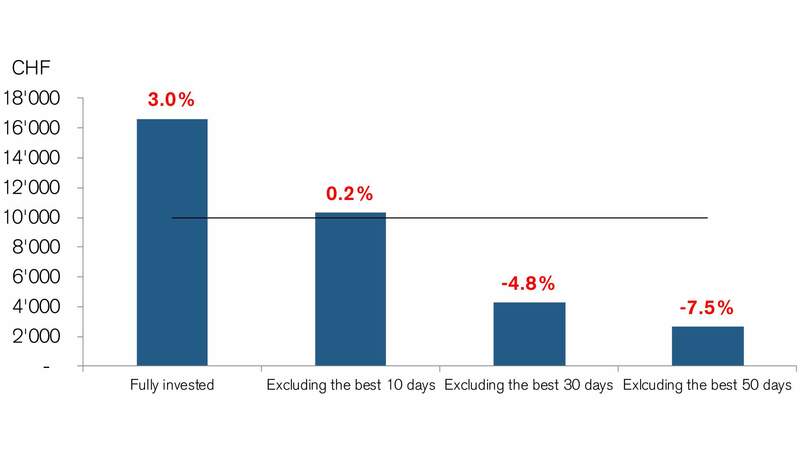 If this investor, however, had missed only the five best days, the return would have only been 63 percent. Market timing can become a dangerous habit. Price dips are difficult to predict and strong returns often follow poor ones. Investors often think they can be smarter than the market – or let emotions, such as fear or greed, misguide them into making investment decisions they later regret. Read about what low volatility means for investors. Watch the video to find out why the bull market can continue. Read about how long-term investments succeed. *Historical performance indications and financial market scenarios are no reliable indicators of future performance.